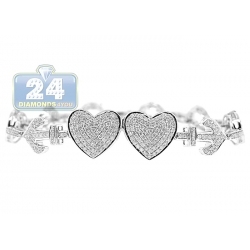 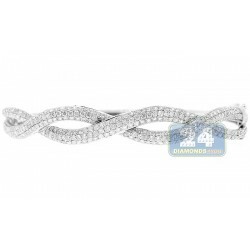 Womens Diamond Hearts Anchor Bracelet 14K White Gold 2.30 ct 7"
Romantic and nautical themes are presented by our women's diamond bracelet! 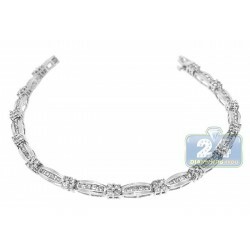 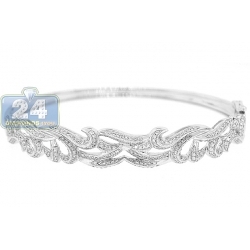 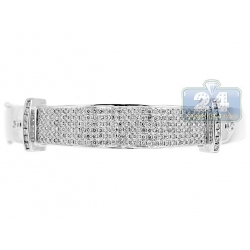 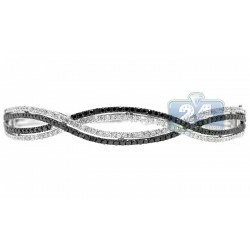 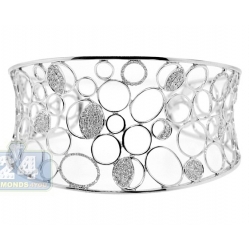 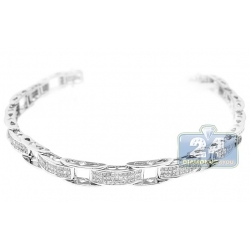 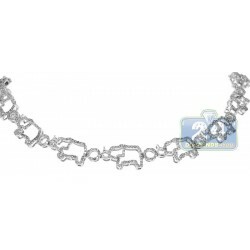 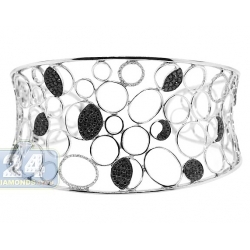 Professionally made of cool 14k white gold, it's high-polished for very smooth shiny look. 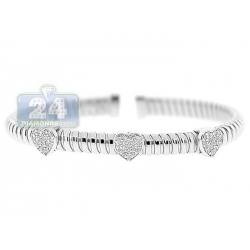 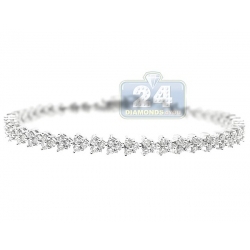 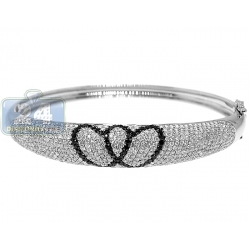 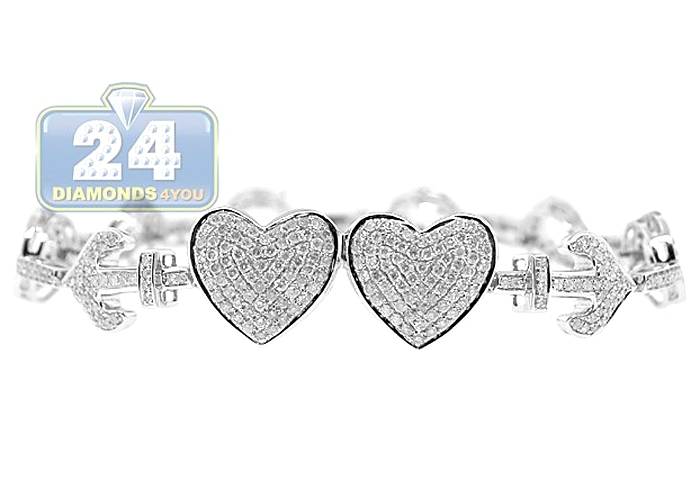 This double heart bracelet is encrusted with 2.30 carats of icy white round brilliant-cut natural diamonds. 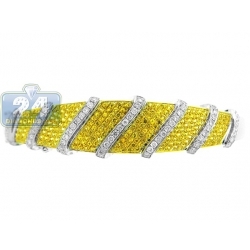 It measures 7 inches in length and 13 mm in width. 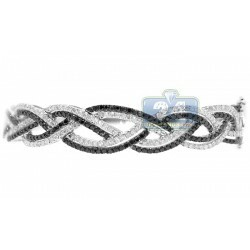 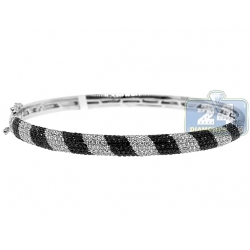 Make an unforgettable statement wearing this diamond anchor bracelet!